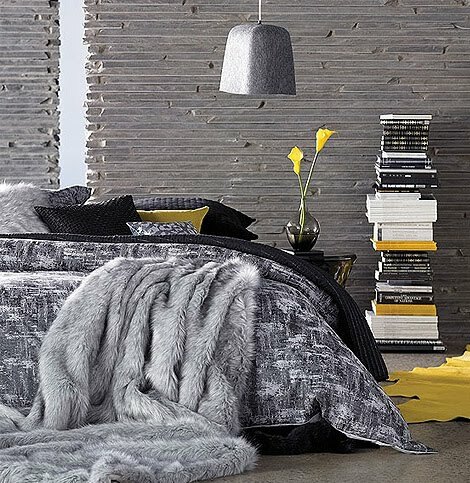 There's just something about pairing yellow with gray that I absolutely love! I looked into the psychology of each color and after reading a little about each one, it makes sense how one can really balance the other. 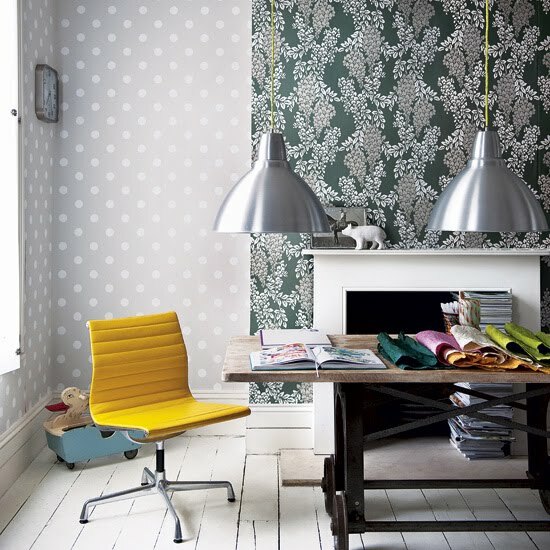 GRAY: Used well, the color gray can lend interiors an elegant formality that is subtle without being overly conservative. 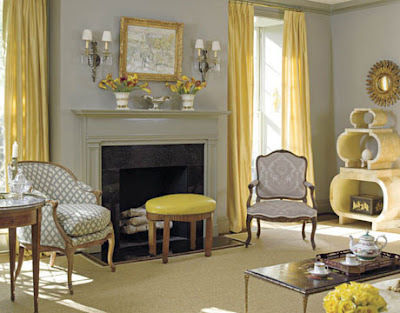 It is the color if you want to create an air of calm, understated confidence. 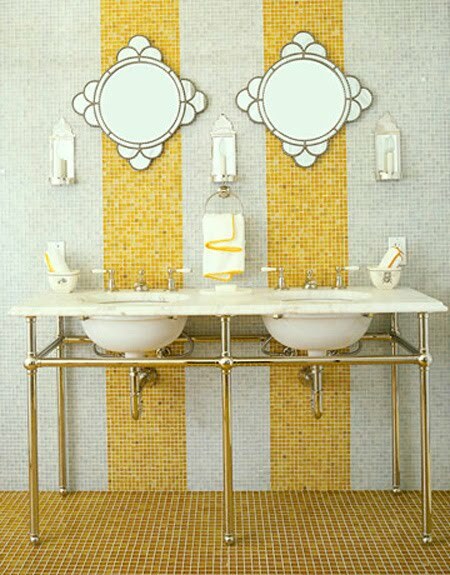 YELLOW: Is often described as an optimistic, life-affirming color that reminds us of sunshine and stimulates our mind, body and emotions. 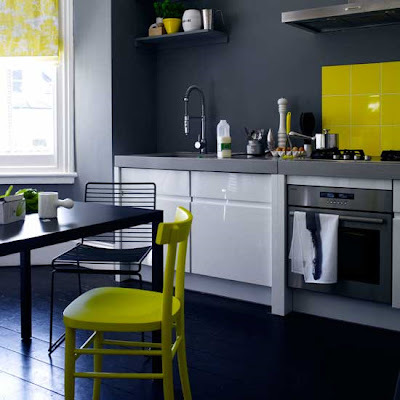 The outcome can vary from mellow and sophisticated to bold and outrageous, depending on what tone of yellow & gray you use and how you combine the two. 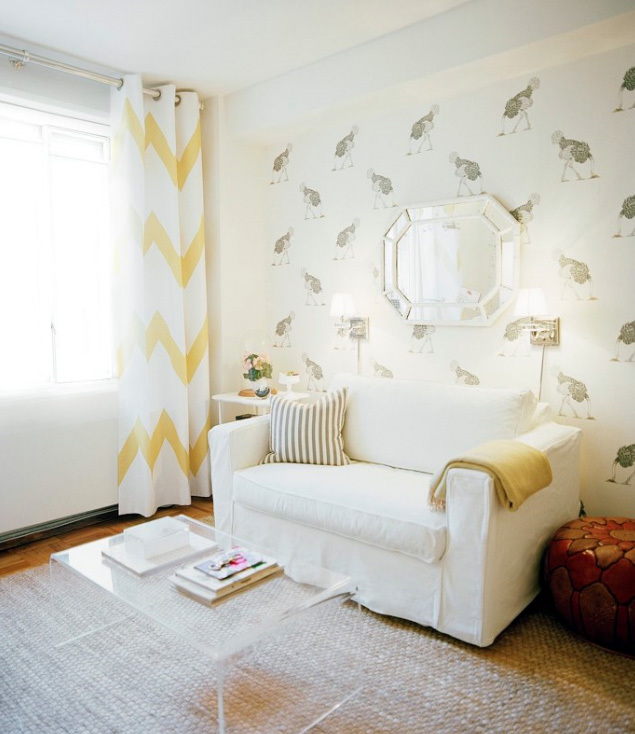 I also like seeing a pop of bright white or black for contrast. What do you think of this color scheme? Could you live with it? Please share! What a great color combo. I love love love grey and Im in the process of painting our whole house in different shades of it. 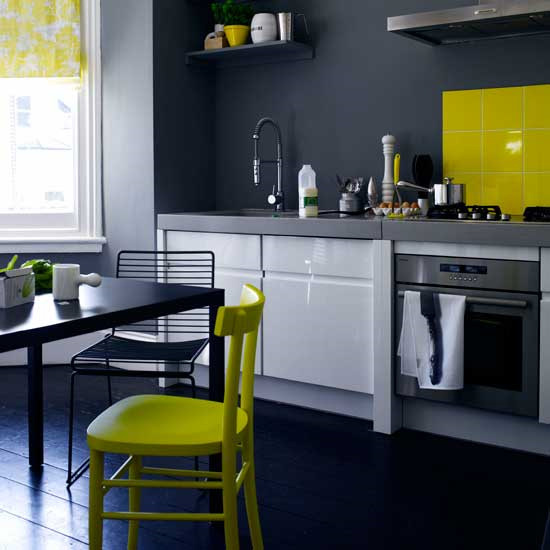 I want to play up one of the rooms with yellow ... Now to decide which one! Oh I know I LOVE it!!! I actually just did a post a few weeks back on yellow and grey, and yellow and brown home decor for my new office inspiration. Love it all!!! Love these shots. It is a GREAT colour combo. I could definitely live with this mix in my home.. I LOVE this color scheme! I have been thinking of pairing these colors in my living room. I love grey and yellow when it is done right! I love that color combination. 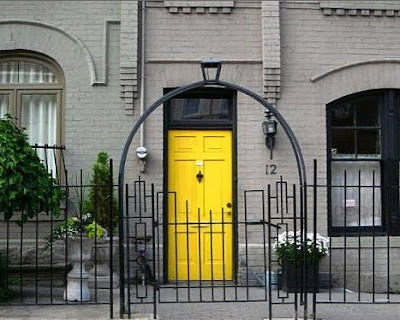 Once we close on our house, gray will be the color of the house with yellow accents. Now to find the perfect silvery gray. Do you have any suggestions? Love your blog, so full of wonderful inspiration. I think this is great for wearing too! I am so a grey and yellow fan. Definitely my favorite color combo! every last one of these images is amazing!! i guess you could say i love this color combination. I totally agree. 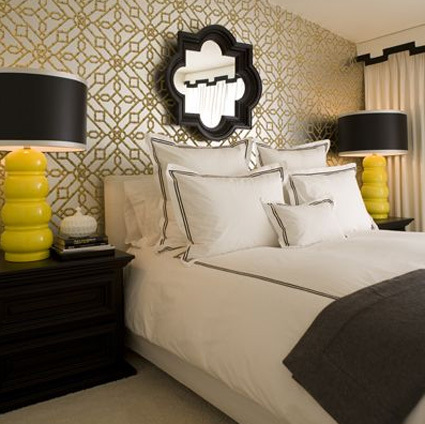 When I started examining gray bedrooms on my blog I came to the realization that they totally need a pop of citrus to look modern and happy! 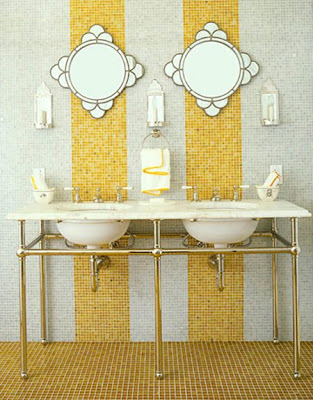 Wow LOVE the bathroom shot, those mirrors are amazing and what a great take on tile?! oh my.. that combination is giving me shivers - good ones! you don't see a lot of that in Sweden (that's where I live and where I'm from). that's gorgeous. Just did a post on gray and yellow from a different perspective! 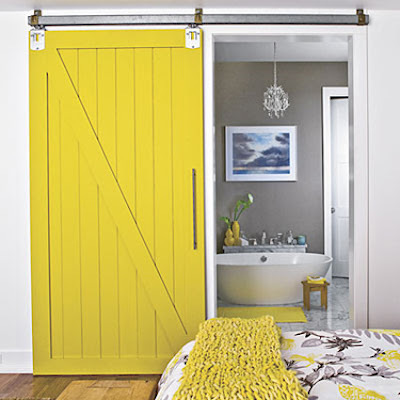 (linked to your post :) Love your photos, very inspirational--especially the first one with the bright yellow barn door.. 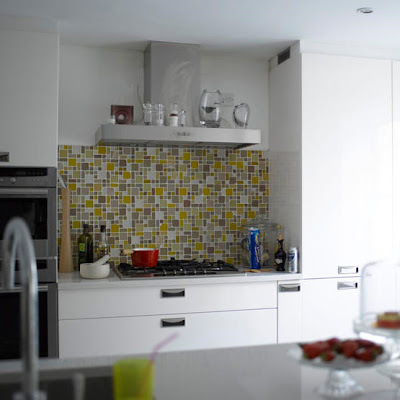 Please share info on the kitchen backsplash --- pic 3! Love it! 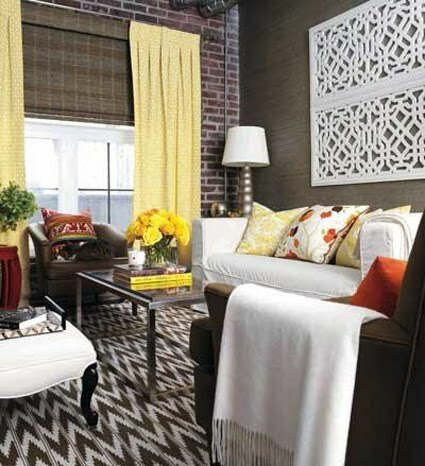 Love it ... where did you get the curtains that are white and yellow chevron Would love to have for my bathroom I am doing our master bed and bath in these colors. Thank you so much for sharing!